Relief is taking hold in Spain. The country's benchmark stock index added 2.5% on Monday as Madrid moved to assert its authority over the wealthy region of Catalonia. The Ibex 35 was the top-performing stock index in Europe, where most major markets were little changed. The rally was helped by positive economic data. The euro also gained against the dollar. Spanish stocks have been volatile in recent weeks since a contested independence referendum in Catalonia plunged the country into its worst political crisis in decades. 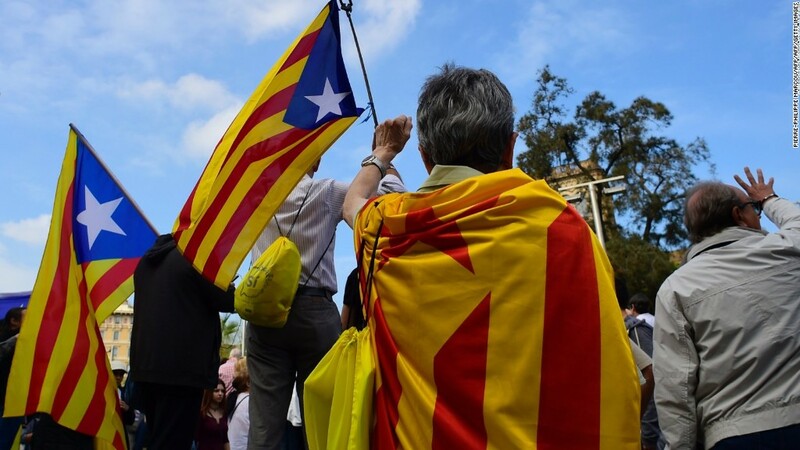 Now Spain's central government is imposing its will on the restive region. Madrid suspended Catalonia's broad self-rule after the regional parliament unilaterally declared independence on Friday. Stocks fell as a result. The state prosecutor said Monday that he is seeking charges of rebellion, sedition and misuse of public funds against Catalan leaders. Civil servants in Catalonia returned to work under the Spanish government's control. Two key pro-independence parties also said they would participate in regional elections that Madrid has scheduled for December 21. Businesses have been caught in the dispute. Catalonia, Spain's most economically productive region, hosts 7,100 foreign companies, including Volkswagen, Nissan and Cisco. Its capital of Barcelona is a major tourist hub. Analysts say it's not clear how much economic damage might be caused by Madrid's direct rule, but it could disrupt local government services. Some executives aren't waiting to see what happens next, and have already moved their headquarters out of Catalonia. Those include major financial firms CaixaBank and Banco Sabadell, real estate company Colonial and energy supplier Gas Natural Fenosa. Catalonia accounts for nearly a fifth of Spain's economy.